Vipul Ambani, Firestar International's president (Finance), was director of eight shell companies, India Today TV reported quoting unnamed sources. It also added that Ambani is singing while in CBI custody. A special CBI court in Mumbai on Wednesday sent to police custody, till 5 March, five senior executives of the Nirav Modi and Mehul Choksi Group of Companies, including Vipul Ambani, who were arrested on Tuesday in conection with the Rs 11,400 crore Punjab National Bank fraud. For hours on Wednesday, sleuths from the Central Bureau of Investigation (CBI) were frustrated as they were trying to find out how fake Letter of Undertakings (LoUs) and Foreign Letter of Credits (FLCs) running into thousands of crores was drafted and subsequently sanctioned by the Punjab National Bank (PNB) officials. The two executives of Nirav Modi admitted to preparing and signing the applications made to PNB but they refused to disclose details how and where such applications were finalised. The ED on Thursday said it has frozen mutual funds and shares worth Rs 94.52 crore of the Nirav Modi and Mehul Choksi groups in connection with a money laundering probe against them in the Rs 11,400-crore alleged fraud at the Punjab National Bank (PNB). Various process failures of public sector banks in India are not new. What is new in the PNB fraud is that, for the first time, questions are being raised about the supervisory capacity and systems in Reserve Bank of India (RBI). The government has written to the RBI asking for why the scam was not detected in its systems. Concerned citizens have asked for similar information in the past and disclosures by RBI have not been adequate. Laws which govern the functioning of RBI need to be changed to bring about transparency and accountability. This has to then be supported by scrutiny into the functioning of the institution. A tragedy is a terrible thing to waste. The legislature should take a relook at the legislative framework of transparency, accountability and governance of RBI. The Draft Indian Financial Code addresses many of these concerns and there is need to incorporate its principles in primary legislation. According to News18, the actresses have accused Mehul Choksi-owned Gitanjali Gems of non payment of dues and breach of contract. A spokesperson for Ranaut said, "There are outstandings due on Kangana’s Nakshatra endorsement, beyond the stipulated contract." She was the company's brand ambassador since 2016 and claims she has not been paid her dues fully for endorsing the jewellery brand. On the other hand, Bipasha Basu, who endorsed Gili, accused the Gitanjali Gems group of using her photographs even after her contract expired. According to CNN-News18, investigative agencies could not trace absconding billionnaire Nirav Modi as he used his Belgian passport to fly out of Davos. According to CNN-News18, jeweller Nirav Modi is holed up at friend Rashmi Mehta's house 27, Berkenlaan, in Antwerp, Belgium, reported CNN-News18. Within a week of surfacing of Rs 11,400 Punjab National Bank (PNB) fraud, Gitanjali Gems' stock has nosedived over 56 percent. It fell for sixth consecutive session on Wednesday. The stocks of the jewellery company plunged by 9.85 percent to close at the lower circuit of Rs 27.45 per share on Wednesday. Market capitalisation of the company stood at Rs 325.60 crore, down from Rs 695.08 crore. The Enforcement Directorate (ED) on Wednesday continued raids for the seventh day as it visited 17 locations across the country, including four shell companies in Mumbai, even as the I-T department attached assets worth Rs 145 crore in the alleged Rs 11,400-crore Punjab National Bank (PNB) fraud. While the ED seized assets worth Rs 10 crore on Wenesday, the tax department said it has attached a total of 141 bank accounts and fixed deposits worth Rs 145.74 crore of the Nirav Modi group. The department said it has attached these assets to realise outstanding tax demands. With Wednesday's seizure, the total value of gems and gold jewellery seized by the ED stands at Rs 5,736 crore. The agency has said it is carrying out an "independent valuation" of these seized assets. The instances of fraudulent transactions and loan scams involving bank officials continued. This included both and big and small frauds — Citibank fraud, Bank of Baroda forex scam, Syndicate Bank fraud and several other lesser-known scams. In most instances, the victims were public sector banks and culprits their own officials. Most cash-for-loan scams happened through middlemen. The I-T department issued notices to several clients, including Congress leader Singhvi, of Nirav Modi for making large payments to him in cash, reports CNN-News18. India’s state-run Punjab National Bank has stepped up its controls on the use of global payments network SWIFT following an alleged $1.77 billion fraud, according to memos issued this month and seen by Reuters. The new measures mean only PNB officers will be able to initiate messages on SWIFT, taking away the authority of clerks to do so. Several new limits have been placed on the amount that officers can generate depending on their seniority in the bank hierarchy. The note sent by the bank’s head office in New Delhi to all regional offices on 17 February also stated any SWIFT message will have to be created, verified and authorised by three different officers, starting Thursday. Previously only two individuals were needed for the process. The Enforcement Directorate on Wednesday said it has identified 50 jewellers across Bihar with suspected stocks of the Geetanjali Group, which is under the scanner in the aftermath of the Punjab National Bank scam. The jewellers, spread across towns like Patna, Bhagalpur, Muzaffarpur and Gaya, have been asked to surrender their stocks at the agency's zonal office in Patna, failing which they may have to face legal action, an ED official said. The ED, in the past few days, has raided showrooms of the Gitanjali Group at a number of locations in Patna, Muzaffarpur and Kishanganj and seized valuables worth crores of rupees. Vipul Ambani, an arrested aide of fugitive billionaire Nirav Modi, knew about the fraudulent and illegal Letters of Undertaking (LoUs) issued by the Punjab National Bank in the Rs 11,400 crore fraud, CBI officials said on Wednesday. Ambani was arrested on Tuesday and is being continuously grilled by the Central Bureau of Investigation (CBI) officials in Mumbai. "Ambani was fully aware of the fraudulent and illegal LoUs issued by Shetty who was a deputy manager at PNB's Brady House branch in Mumbai. (This was being done) in conspiracy and (under the) guidance of Nirav Modi and other employees of his firm," a senior CBI official told IANS in New Delhi. The CBI official said the agency during its probe found that Ambani not only visited and met PNB's officials at the Brady House branch but also met other bank officials in Mumbai and New Delhi. The official also said that they have seized documents during searches at the office of Firestar at Peninsula Business Park in Mumbai's Lower Parel that "prove" that Ambani knew what was being done. The CBI on Wednesday sealed a luxury property of billionaire Nirav Modi in Alibaug area near Mumbai, officials said. The 1.5 acre farm house in the uber rich neighbourhood at a stone's throw distance from Arabian sea was purchased by Modi in 2004 for Rs 32 crore for hosting special parties for his clientele to show case his precious jewellery collection, they said. A special court in Mumbai on Wednesday remanded Vipul Ambani, the president (finance) of Nirav Modi's Fire Star Diamond, and five others in CBI custody till 5 March in connection with the Rs 11,400 crore alleged fraud in Punjab National Bank (PNB). The six were arrested on Tuesday in connection with two FIRs registered by the CBI involving Modi and his uncle Mehul Choksi, the owner of Gitanjali Gems. Looking at PNB-like frauds, if someone thinks that there are no checks in place in the system, they are wrong. "There are checks but no one really cares," said a banker who requested anonymity. He takes the example of the LoU (Letters of Undertakings) fraud in PNB. If a branch-level official does a transaction of this manner for a period of seven years, it can get caught at different levels if any of the checks in place triggered this illegal activity. For instance, the SWIFT messaging platform that was used by the perpetrators in the PNB case is subjected to a daily check by the branch manager, which is compulsory in any bank. Even if one imagines that this part failed, the branch manager has to do a daily tally of income and expenditure in the branch while one of the officers (not involved in the transactions) combs through the books to look for suspicious transactions, the official said. This apart, there are RBI and government representatives on the boards of large banks who are supposed to keep an eye on all transactions and ensure that nothing goes amiss. "But, it appears that all of them were sleeping when a fraud was developing," said the banker. That apart, given the tremendous pressure on bankers to generate business, top-level officers often turn a blind eye to illegal business activities. Scam-hit PNB has assured investors and customers that it has a strong sovereign backing and adequate capital to deal with the situation in the aftermath of the Rs 11,400 crore fraud. "We assure you that in your bank, it is business as usual," state-owned Punjab National Bank said in a tweet. The country's second largest lender has also dismissed media reports that it has imposed restrictions on withdrawals. "Be rest assured we have a strong sovereign backing. The core strengths of the bank is the brand image with rich 123 years of existence, strong CASA base, stable asset quality and increased pace of digitisation," PNB said. Earlier in February, the bank said that it has been hit by a fraud amounting to about $1.77 billion. The alleged fraud was affected by fraudulent Letter of Undertakings (LOUs) issued to firms of diamantaire Nirav Modi and Mehul Choksi. "We have adequate capital coupled with strong non core asset base," said the PNB tweet as multi-agency probe widened into the fraud. PNB also said that it has the capacity and capability to "handle the situation" and protect the interest of the institution. Congress president Rahul Gandhi attacked Prime Minister Narendra Modi over his silence on the PNB bank fraud and the Rafale deal, saying sarcastically that he looked forward to his "sermon" on the issues in his "Mann ki Baat" programme. Rahul also labelled the prime minister's programme aired on All India Radio a monologue and said the country wants to hear him speak on billionaire diamond jeweller Nirav Modi and the Rafale "scam". In response to the prime minister's suggestion for ideas for his 28 January 'Mann ki Baat' programme, Rahul had urged him to tell the country about India's plans on stopping rapes, getting the Chinese out of Doklam and jobs for the youth. Nirav Modi's return depends on ED charge sheet, CNN-News18 quotes diamantaire's lawyer as saying. The Centre on Wednesday opposed in the Supreme Court a PIL seeking an independent probe and deportation of billionaire jeweller Nirav Modi in the over Rs 11,000 crore PNB fraud case, saying an FIR has been lodged and a probe was on. A bench comprising Chief Justice Dipak Misra and Justices AM Khanwilkar and DY Chandrachud said it would not say anything on the matter now and listed the PIL filed by lawyer Vineet Dhanda for further hearing on 16 March. Attorney General KK Venugopal, appearing for the Centre, said he was opposing the PIL on various grounds, including that an inquiry has started after the FIR was registered. The PIL has made Punjab National Bank, Reserve Bank of India and the ministries of finance and law and justice as parties. It has sought a direction for initiation of deportation proceedings against Nirav Modi and others allegedly involved in the banking fraud, preferably within two months. The plea has asked for a special investigation team (SIT) to probe the banking fraud, allegedly involving billionaire jewellers Nirav Modi and Mehul Choksi. It has also sought a probe into the role of the top management of the Punjab National Bank (PNB). The Reserve Bank of India (RBI), on quick action mode, has rolled out some strict measures in the aftermath of the Rs 11,400 crore Punjab National Bank scam. An expert committee will be formed, while the central bank has also issued guidelines and safeguards that banks are meant to implement. Attorney General KK Venugopal has told the Supreme Court that the investigation is ongoing and an FIR has been registered. The court has fixed the next date of hearing for 16 March. Refusing to entertain a PIL filed by a lawyer seeking a probe by the apex court into the Punjab National Bank fraud case, the Supreme Court said it was "becoming fashionable" to run to the courts and it was only right to let the government complete its investigation. It also called such PILs "publicity interest litigations". Looking at PNB-like frauds, if someone thinks that there are no checks in place in the system, they are wrong. "There are checks but no one really cares," said a banker. "Besides daily checks, the bank also does concurrent audits, which happen concurrently throughout the year. Such fraud should have reflected there," the official said. 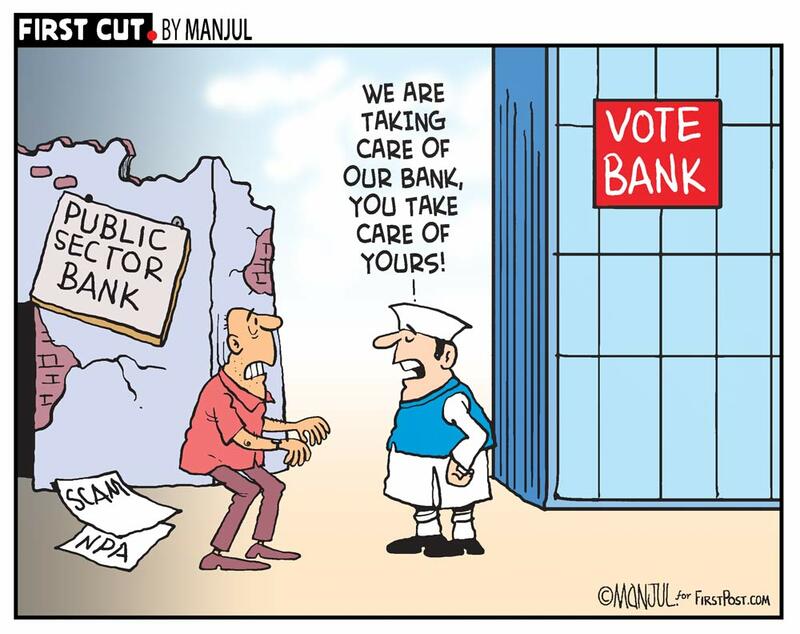 This apart, there are RBI and government representatives on the boards of large banks who are supposed to keep an eye on all transactions and ensure that nothing goes amiss. "But it appears that all of them were sleeping when a fraud was developing," the banker added. Nirav Modi, the alleged kingpin of the Rs 11,400 crore Punjab National Bank scam, is not absconding but is out on business, the diamond merchant's lawyer has told the media. "He has a global business and he went out of India for business purpose. Now his passport has been revoked. His family members, some of them are foreign nationals, also stay abroad most of the time," the lawyer, Vijay Aggarwal, was quoted as saying by DNA. A special CBI court on Tuesday remanded three officials of Punjab National Bank in police custody till 3 March. These three were arrested on Monday in connection with alleged fraud of Rs 11,384 crore, while observing that there is a possibility of their involvement in diverting the bank money. During the arguments over the custody of the trio, the CBI told the court that key accused Gokulnath Shetty, then deputy manager (now retired) of PNB, had told them that issuing of the Letter of Undertakings (LoUs) had been going on since 2008. PHD Chamber of Commerce and Industry on Tuesday expressed concern over what it termed as the "crisis" triggered in the banking industry following the fraud detected in state-run Punjab National Bank. Late night parties at plush farmhouses and hefty kickbacks to top bank officials are two 'compulsory' requirements for scamsters to access the loans from public sector banks that they fully know would turn into Non-Performing Assets (NPAs). A Firstpost investigation into the Punjab National Bank-Nirav Modi fraud case shows that corruption has gone into the very bone and marrow of state-owned banks and this is not just a 'one-off' for several banks, including PNB and others like UCO and Canara, which have encountered exposure in the Modi-Mehul Choksi scam. The CBI has arrested a general manager-rank officer of the Punjab National Bank posted at the bank's head office in New Delhi connection with the alleged Rs 11,400 crore fraud involving billionaire jewellers Nirav Modi and his uncle Mehul Choksi, officials said. The arrested accused, identified as Rajesh Jindal, was the head of the bank's Brady House branch in Mumbai during 2009-11. It is alleged that the issuance of Letters of Undertaking (LOUs) to Nirav Modi group firms without sanctioned limits started during his tenure. Jindal is presently posted as general manager, credit, at PNB's head office in New Delhi. It is alleged that Rs 11,400 crore of LoUs were fraudulently issued to the firms of Nirav Modi and Choksi. 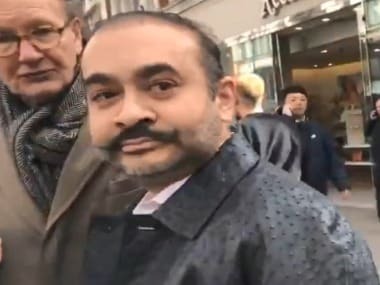 The Supreme Court will hear a plea seeking the deportation of diamond merchant Nirav Modi, the main accused in the alleged Rs 11,300 crore scam, Times Now reported. On Tuesday night, the CBI made its first high-profile arrest in the Rs 11,400 crore alleged Punjab National Bank (PNB) scam on Tuesday, taking into custody Vipul Ambani, the head of finance of Nirav Modi's Firestar Diamond. 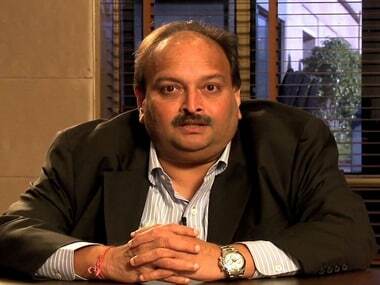 As the owner of Gitanjali, Mehul Choksi continues to abscond, the employees have been given relieving letters. Gitanjali employees were handed over relieving letters and were refused gratuity. The employees soon took to the roads and decided to protest demanding February salary. Meanwhile, Congress leader spokesperson Manish Tewari said question does not stop at Nirav Modi and Vikram Kothari but extends to the credibility of entire banking sector. The Opposition Congress and CPM on Tuesday demanded a discussion on the Punjab National Bank fraud case in the ongoing session of the state Assembly. The ruling Trinamool Congress is yet to take a call on the issue and mocked Congress and CPM for staging walkout from the house during most of the discussions. In a letter written to Punjab National Bank, Nirav Modi has accused the bank of destroying his brand and says the move has jeopardised his ability to repay banks, media reports said. 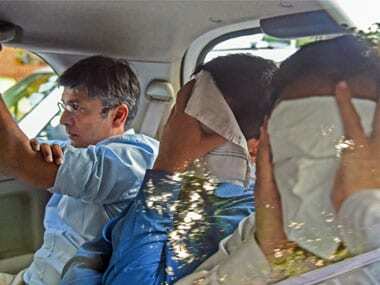 Congress leader Abhishek Manu Singhvi denies charges, says,"We must have purchased jewellery from various stores. But, there is no cash transaction with Nirav Modi." A tiny, decrepit room in Kalbadevi, a chawl in Kalyan, a run-down accommodation in Dahisar, and an old Amboli flat with barely any amenities are the registered residential addresses of directors appointed by the companies of wanted billionaire jeweller Mehul Choksi, reported Bombay Mirror. These people are actually ordinary employees and small-time retail investors who were persuaded by the companies to serve as top company members on paper. The Central Vigilance Commission (CVC) has asked Punjab National Bank and finance ministry officials to submit a report on how the scam took place despite monetary regulations to avoid the same being in place. ANI reports that the commission has given the bank 10 days to formulate the report. Firstpost takes a look at the events that unfolded since 16 January when the Punjab National Bank first found out about the fraudulent transactions in what has now become the largest banking scam in Indian history. ED begins attachment of various properties of Nirav Modi and Mehul Choksi in Mumbai, reports News18. The total assets seized as of now stands at Rs 5716 crores. Enforcement Directorate (ED) sleuths are examining details of over 250 shell firms linked to Nirav Modi, his brother and Mehul Choksi, which they suspect were used to move ill-gotten financial assets after they defrauded state-owned Punjab National Bank of Rs 11,360 crore. These ghost entities, sources said, allegedly acted like a sleeper cell to launder money in India and abroad. Much, much before our Mehul (Choksi) Bhai and his nephew Nirav Modi unburdened the bank of nearly Rs 11,000 crore and counting, the PNB had found itself in a similar soup because of another high-flying businessman, the suave Rajendra Sethia. The bank's Sethia to Modi-Choksi story spans almost 30 years. But, nothing about the PNB seems to have changed. It is still a ripe, rotten mango waiting to be plucked by those with smart brains and right connections. Even before the investigating agencies begin their probe, an in-house inquiry by state-owned Punjab National Bank (PNB), which was allegedly defrauded of Rs 11,360 crore by diamond merchant Nirav Modi and his maternal uncle Mehul Choksi, has given a clean chit to its auditors and blamed foreign branches of Indian banks. According to CNN-News18, the Rs.11,000 crore scam is just the tip of the iceberg. One-hundred fifty LoUs (Letters of Understanding) and 233 foreign letters of credit were issued to Nirav Modi, the report said. According to a News18 investigation, the FIR filed by the CBI stated that eight LoUs were issued. However, the investigation claims that 150 LoUs were issued to Nirav Modi, the alleged mastermind of the 11,000 crore scam. The CBI is questioning Vipul Ambani, the Chief Financial Officer of diamantaire Nirav Modi's Fire Star diamond company, officials said on Monday. They said Vipul Ambani was holding the position for last three to four years. He is understood to be a relative of late Dhirubhai Ambani, reported PTI. According to News18, the government has written to RBI asking if lapses have been noticed on five counts. The report added that RBI's response is expected after due diligence with banks. Investigation agencies believe billionaire businessman may be in Dubai. According to India Today, the CBI may have got a tip-off from undisclosed sources and is currently seeking Interpol's help to nab Modi. The Shiv Sena on Sunday attacked Prime Minister Narendra Modi over the multi-crore-rupee Punjab National Bank (PNB) scam and alleged that diamond czar Nirav Modi, who is at the centre of the scandal, had been a "partner" of the BJP and helped it collect funds for elections. Celebrity jeweller and prime accused in the alleged Rs 11,400-crore Punjab National Bank fraud Nirav Modi will be represented by advocate Vijay Aggarwal in the courts, said media reports on Monday. Aggarwal has previously represented a number of accused in the 2G spectrum allocation scam case. FICCI, the representative body of Indian private companies has pushed for privatisation of public sector banks. Claiming that the recapitalisation of banks have had little impact on the health of public sector banking, FICCI believed that financial irregularities have been affecting India's image as a business friendly nation. According to News18, at least six to seven employees are being questioned inside the branch by the Central Bureau of Investigation. According to the report, the CBI is investigating whether there are more people involved in the scam. News18 reported that CVC was not satisfied with the information given by top brass of the Punjab National Bank. According to the report, it wants vigilance officer of PNB to step in and report back on lapses. The CVC will also issue fresh guidelines to all banks. Speaking to CNN-News18, former executive of Gitanjali Gems, Santosh Srivastava slammed Mehul Choksi, who is now at the eye of the storm for siphoning off Rs 11,400 crore from Punjab National Bank. "Choksi created an unprofessional institution. It was an one man show at Gitanjali. He threatened me when I decided to tell the truth," Srivastava said. Enforcement Directorate conducted further searches at 21 locations across India in Nirav Modi case and seized diamonds, gold, precious stones, metals and jewellery worth Rs 25 crore, reports ANI. Total seizure now stands at Rs 5,674 crore, ED added. "Nirav Modi took away Rs 22,000 crores. The prime minister can teach kids how to take an exam for one and a half hours but he can't tell the country who is responsible for the money Nirav Modi took away. The prime minister must answer what is he going to do about it," Congress president Rahul Gandhi said after the Congress steering committee on Saturday. Rahul also rejected the BJP's charge that he has personal ties with Nirav Modi, saying they are trying to divert the issue. Special CBI court sends all three PNB officials in police custody till 3 March, reports ANI. ANI reports that the three accused are Gokulnath Shetty, then deputy manager of Punjab National Bank (PNB) and Manoj Kharat, SWO (single window operator) of PNB and Hemant Bhat, Authorised Signatory of the Nirav Modi Group of Firms. "Nirmala Sitharaman and her colleagues are liable to civil and criminal defamation for making ignorant and patently false allegations," Congress leader Abhishek Manu Singhvi said according to ANI. "Neither my wife, sons nor me have anything whatsoever to do with Gitanjali or Nirav Modi's companies. The company was a tenant of a Kamala Mills properties owned by Adwait Holdings in which my wife and sons are directors," he added. "Adwait Holding owns a commercial property at Lower Parel, as it does elsewhere, which was rented by Firestone many years ago. Neither Adwait nor my family has any interest with Nirav Modi or Firestone. Firestone vacated Parel's Kamala Mills premises in December 2017," Singhvi further explained. Nirmala Sitharaman said that the entire might of the government has been invoked to nab Nirav Modi. She said that Centre put all concerned authorities in action immediately after the PNB fraud came to light. BJP leader and defence minister Nirmala Sitharaman on Saturday, in a press conference, said that Congress' allegations against the Centre are misleading people. She said that repeating lies is a strategy being adopted by Congress. "Original sin in Nirav Modi fraud was committed in 2011. The Letters of Understand (LoU) hold good only for 90 days. But the accused PNB officer kept rolling the LoUs till he got retired. He didn't put details in banking system which lead to no one detecting the scam," Sitharaman said. The CBI has said that a majority of the Letters of Understanding (LoUs) in the Punjab National Bank fraud were either issued or were renewed in the bank in 2017-18, The Indian Express reported. The agency said that many old LoUs too were renewed in 2017. Nirav Modi and his relatives were rolling over the LoU money by getting them renewed, added the report. The Enforcement Directorate (ED) on Saturday conducted raids at Nirav Modi's franchise Gitanjali Gems Store in Durgapur, West Bengal. The ED also seized diamond and jewellery worth Rs 3 crore in raids at Gitanjali and Nakshatra Jewellers in Jaipur. Sibal said that with ill-intentions, the BJP brought India's economy to its knees. "I challenge BJP to come and talk about UPA's governance and their governance," said the congress leader. Sibal said that banks gave loan even though there was no collateral. He asked the government why action was not being taken against loan defaulters. "If India's economic situations worsens, investors will lose trust. Nivar Modi scam can be called ease of doing business. We don't want this kind of ease of doing business," said the congress leader. Congress leader Kapil Sibal, while taking dig at Prime Minister Narendrs Modi, said that the Chaukidar of the coutry is busy these days. "The situation which has arose today is because Chaukidar is sleeping. How can one say that the prime minister, finance minister did not know about the PNB fraud." ​CBI on Saturday arrested Gokulnath Shetty former deputy manager of Punjab National Bank, Manoj Kharat, single window operator at PNB and Hemant Bhat, Authorised Signatory of the Nirav Modi Group of Firms, said media reports. Nirav Modi may be holding dual citizenship, according to The Tribune report. Modi and his brother Nishal grew up in Belgium. According to intelligence sources Nishal had surrendered his Indian passport and acquired Belgian citizenship, added the report. The Central Vigilance Commission (CVC) has summoned senior officials from the Reserve Bank of India, the finance ministry and the Chief Vigilance Officer of Punjab National Bank (PNB), next week to assess how the fraud reported slipped past all the checks and balances in the system, The Hindu reported. Following the $1.8 billion fraud detected by the Punjab National Bank (PNB), stocks of jewellery company Gitanjali Gems on Friday plunged almost 20 percent — hitting its lower circuit — while PNB's shares closed over 2 percent lower. Stocks of Gitanjali Gems, the luxury jewellery brand promoted by the main accused Nirav Modi's maternal uncle and business partner Mehul Choksi, plunged 19.94 percent to close at Rs 37.55 per share. "Price-wise, the way the stock of Gitanjali Gems has slipped and the kind of circuit that we are seeing, probably the sequence may continue for some days. From a support perspective, Rs 29-30 is a support," Sacchitanand Uttekar, Assistant Vice-President at Research for Tradebulls, said. "But with developments in the company going off-track, how much will it hold is something that time will decide," he added. Jewellery traders and exporters are apprehending that "ripple effects" of the $1.8 billion fraud involving billionaire diamond trader Nirav Modi's companies could make lenders more cautious and impact credit flow to the industry to some extent, officials said here on Friday. However, they also said that in the wake of the fraud, the entire gems and jewellery industry should not be blamed or branded as "risky" industry. "Some ripple effects are bound to happen and it (the fraud) will have some psychological impact on the mind of loan advancers. Whenever a banker is financing someone, he will be more cautious to check out whether there is any possibility of fraud or not. This could impact credit flow to the industry or lead to delay in extending advances," Gem and Jewellery Export Promotion Council (GJEPC) Regional Chairman (Eastern Region) Prakash Chandra Pincha said. Despite the huge blow of $1.8 billion fraud, India's second largest public sector bank is hopeful of coming out of the problem in the next six months, according to its top official. "We will get back to normalcy within six months. Bank has the size and capacity to come out of the problem," Sunil Mehta, Managing Director and Chief Executive Officer of Punjab National Bank. told a investors' conference call on Friday. He said the bank was going through some problems but "we will fix it", adding that the bank "will not spare anyone" involved in the crime. During the investors' conference call, the bank chief reiterated that the incident was a standalone case. "We are looking at gaps in our existing controls, systems and trying to control them," he added. India Inc on Friday called for swift and strict action against the companies who have allegedly defrauded Punjab National Bank, while expressing concern over the vulnerability of lenders. The alleged fraudulent transactions from a single branch of the bank show how vulnerable Indian banks, especially PSBs, have become, with a dangerous potential contagion in the country's financial system, Assocham said. "The fact that an officer of the level of deputy manager, as is being reported in the media, could single-handedly wreck not only the country's second largest PSU bank but also several other lenders, shows how the risk management system is lacking in these entities and how a chain of command system was not there or was not followed,” said the chamber. At a press briefing, MEA spokesperson Raveesh Kumar said that Nirav Modi and other Indian CEOs were at Davos on their own. He further added that the Narendra Modi's impromptu meeting was not in any way an endorsement of Nirav Modi or his business. Asserting that the Centre is "making sure" that the money will be recovered, Union minister Prakash Javadekar said, "What UPA did was destroy the banking system. Coal scam, 2G, CWG are all government scams and they are not comparable with Nirav Modi scam(which allegedly began at a bank)." "All the wrong loans were sanctioned under the UPA government and it was passed on to us. We have not stopped any of the investigating agencies. This is one of the scams under the UPA. There is a difference between government scams and bank scams. They even have a party scam. It has come to light because of our alertness and our efforts to make banking systems transparent," Union minister Prakash Javadekar said at a press conference. "Rahul Gandhi was at Nirav Modi's 2013 exhibition and immediately Allahabad Bank gets notified about the fraud. Dubey wrote to all the important ministries in the Centre at that time. Finance secretary instead suggested Dubey to resign. This is the story. We want to ask, who pressurised the finance secretary? This is a UPA 'ghotala'," Prakash Javadekar said at a press briefing. How did the fraud detecting mechanism fail? "From 7 May 2015 to May 2017, everybody knew about the fraud. They were even informed that this fraudster will flee. It is likely that Prime Minister Narendra Modi knows Mehul Choksi," Randeep Surjewala said on Thursday. The Congress then played a video of one of Narendra Modi's 2015 address as evidence that he is familiar with Choksi. "Why is the Centre denying it?" asked Surjewala. "UDAAN word is Narendra Modi's buzzword, Any scamster can flee and fly," said Surjewala said. Investors may have been shocked when one of India’s biggest banks disclosed a $1.77 billion fraud by a billionaire jeweller, but the central bank has recorded data that shows the problem runs far deeper and wider. Reserve Bank of India (RBI) data, obtained through an RTI request, shows state-run banks have reported 8,670 “loan fraud” cases totalling Rs 612.6 billion over the last five financial years up to March 31, 2017. The figures expose the magnitude of the problem in a banking sector already under pressure after years of poor lending practices. Bad loans surged to a record peak of nearly $149 billion in 2017. Bank loan frauds have steadily increased as well, reaching Rs 176.34 billion in the latest financial year from Rs 63.57 billion in 2012-13, according to the data, which doesn’t include the PNB case. Markets regulator Securities and Exchange Board of India (Sebi) has launched a probe into trading and disclosure related issues in the matter of Punjab National Bank and Gitanjali Gems in connection with over Rs 11,000 crore banking fraud allegedly perpetrated by absconding Nirav Modi. “Sebi accords utmost importance to market conduct and integrity. Anyone found violating the securities laws will be dealt with firmly”, a regulatory official said. Incidentally, in July 2013, NSE in consultation with Sebi had debarred Gitanjali Gems chief and main promoter Mehul Choksi among others from trading, for securities market violations relating to trading in his company. The Sebi and stock exchanges have begun analysing the stock market trade details of all entities associated with Modi including Choksi, who has already been under scanner for various cases including a brokerage default incident. Only the naive would believe that just two officials were involved in the $1.8 billion fraud in Punjab National Bank (PNB) and that the whole bank was in the dark for the past seven years, said a top leader of a major bank union. He also asked the PNB management to reveal what kind of due diligence was done on diamond trader Nirav Modi and his companies before extending a loan of Rs 1,700 crore. "The PNB management is blaming other banks for not sharing details of their due diligence done on Modi's business. The $1.8 billion fraud is done on non-fund based transaction. The PNB management has to clarify what kind of due diligence it had done while lending to Modi's firms a sum of Rs 1,700 crore," CH Venkatachalam, General Secretary at All India Bank Employees' Association (AIBEA) said. The external affairs ministry suspended with immediate effect the passports of diamantaire Nirav Modi and his business partner Mehul Choksi for four weeks. The ministry gave them one week to respond why their passports should not be revoked. PNB has said the transactions are “contingent” in nature, and it will decide on the liability based on the law and the genuineness of underlying transactions, reported Reuters. Banking sources have said several other banks who have extended loans based on the PNB LoUs that were later found to be fraudulent are at risk of losing money. Some of the banks say PNB is liable to pay since it issued the LoUs, although PNB, in a 12 February “caution notice” addressed to chief executives of 30 banks, including two foreign banks, said the other banks also have a share in the blame as they “overlooked” certain Indian central bank rules. It also said none of the overseas branches of India-based banks had shared with PNB any documents or information at the time of extending buyers’ credit to the companies. PNB said Nirav Modi had written to the bank but had yet to offer any formal proposal for a repayment. The Reserve Bank of India (RBI) must feel like Cassandra gifted with the ability to tell the future, but cursed that her prophecies would never be believed (she is a character in the Greek myth The Iliad, and sister of one of the main protagonists, Hector, Prince of Troy). The latest example is the Rs 11,000 crore plus fraud perpetrated in a Mumbai branch of Punjab National Bank. A spokesperson for Priyanka Chopra said: "There are speculative reports that Priyanka Chopra has sued Nirav Modi. This is not true. However, she is currently seeking legal opinion with respect to terminating her contract with the brand in light of allegations of financial fraud against Nirav Modi." Although Firstpost could not independently verify the news, there have been several reports suggesting that Priyanka's management had alleged that she wasn't paid the amount the two parties had agreed on. Dinesh Dubey, a journalist by profession, exclusively spoke to Firstpost exposing the deep-rooted corruption in the banking system and how the UPA government turned a blind eye to illegitimate loan sanctions. "When I opposed the Gitanjali Gems loan proposal, my fight with Allahabad Bank board got really intense and dirty. They tried to persuade, mollify and even threaten me but I said such loans to the corporates without recovery will only add to more non-performing assets. I also wrote to the Reserve Bank of India and secretary, financial services in the Ministry of Finance in my effort to warn them of a massive scam looming large. My request was to take immediate preventive action and keep a watch on all the companies linked to Choksi's firm, as they were accumulating loans without making payments to the bank," Dubey said. Secondly, ED investigators want to know whether these LoUs were even once — at any point of time over the past seven years — returned to the originating bank branch for verification, and if so, whether or not these transactions were flagged in the annual audit report of the bank’s foreign exchange department. The ED on Friday issued summons for appearance to billionaire diamond merchant Nirav Modi and his business partner Mehul Choksi in connection with its money laundering probe, officials said. They said both Modi and Choksi were summoned under the Prevention of Money Laundering Act (PMLA) and asked to depose within a week's time. The notices were handed over to the directors of the firms of the two businessmen as they were not in the country. What is a diffusion notice? "This (diffusion) is less formal than a notice but is also used to request the arrest or location of an individual or additional information in relation to a police investigation. A diffusion is circulated directly by an NCB (CBI in this case) to the member countries of their choice, or to the entire INTERPOL membership and is simultaneously recorded in Interpol’s Information System," the website of Interpol says. NDTV reported that Nirav Modi is staying in a suite at the JW Marriott's Essex House in Manhattan, New York, a short walk away from his luxurious Madison Avenue jewelry retail store. The CBI has sought revocation of the passports of billionaire jewellery designer Nirav Modi and his partner Mehul Choksi who are the main accused in alleged fraudulent transactions, officials told PTI. Nirav Modi, who holds an Indian passport, left India on 1 January, while his brother Nishal, a Belgian citizen, departed from the country on same day. Nirav Modi, who is believed to be in Switzerland, was also present in a group photo of Indian CEOs with Prime Minister Narendra Modi, issued by the Press Information Bureau, in World Economic Forum on 23 January, six days before the bank sent its first complaint against him to the CBI, according to the officials. The diamantaire is an India citizen but his brother Nishal and wife Ami are not Indian nationals, the officials said. Nirav Modi, a regular feature on the lists of rich and famous Indians since 2013, was booked by the CBI, along with wife, brother and business partner Choksi on 31 January, for allegedly cheating the state-run Punjab National Bank to the tune of Rs 280 crore. The bank has sent two more complaints to the CBI on Tuesday, saying the scam was worth more than Rs 11,400 crore. Billionaire jewellery designer Nirav Modi had left the country on 1 January much before the CBI received a complaint from Punjab National Bank on 29 January about a Rs 280-crore fraud, officials said. His brother Nishal, a Belgian citizen, also left the country on 1 January, while wife Ami, a US citizen, and business partner Mehul Choksi, who is the Indian promoter of Gitanjali jewellery chain, departed on 6 January, the officials said. The agency issued a look out circular against all the four after registering the first FIR against them, they said. PNB gives CBI a list of 150 Letters of Undertaking which were fraudulently issued to transfer money to firms associated with Nirav Modi, PTI quotes officials as saying. "Narendra Modi's shadow will not be harmed because of Randeep Surjewala or Congress. He is loved by the people. And what kind of language is Congress using? 'Chota Modi' jibe is shameful, condemnable and utterly irresponsible," Ravi Shankar Prasad said on Wednesday. Union minister Ravi Shankar Prasad hit out at the Congress for linking Nirav Modi's fraud case to Narendra Modi. He said, "The BJP takes strong offence by calling someone 'chota Modi'. It is derogatory and scandalous. Nirav Modi was not the part of the delegation at Davos. He reached there on his own." 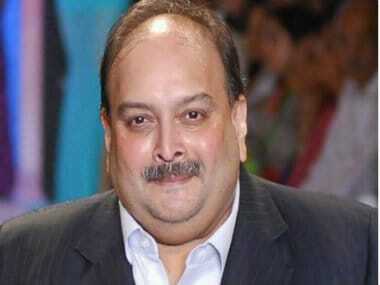 He further said that "very good photographs of the Congress leaders with Mehul Choksi is available with us." "But we don't want to stoop to that level," he added. "Till now, both the CBI and ED has taken speedy action in the wake of complaint made to the CBI. Till now, CBI has raided nine properties belonging to Nirav Modi: 3 in Surat, 4 in Mumbai and 2 in Delhi. Assets worth 13,000 has been seized and action has been taken to revoke his passport. Look out notice has been issued," Union minister Ravi Shankar Prasad said on Wednesday. He said, "I want to say one thing clearly. No one will be spared. This will be regardless of the status and the status of the accused,"
India Today reported that among the 40 properties raided by CBI in connection with the alleged fraud involving Nirav Modi, 9 properties belonged to the jeweller. Speaking at a press conference, members of the Aam Aadmi Party mentioned Vijay Mallya and Nirav Modi, and claimed that before any such businessman becomes a fugitive, he is "seen hanging around the BJP office". The AAP then asked why Nirav Modi was "part of a delegation" that accompanied the prime minister and sought response from the saffron party on the row. "We think he(Narendra Modi) is busier with speeches and speaking his 'Mann ki Baat'," one of the AAP leaders said. Speaking to India Today, Congress leader Sanjay Jha said that the alleged fraud involving jeweller Nirav Modi "is a serious scam of epic proportions". He addressed the row on Nirav Modi's photograph with Narendra Modi at the World Economic Forum 2018 in Davos, asking how there was no background check done on those posing with the prime minister. The CBI FIR dated 31 January, 2018 was based on a complaint filed by Avneesh Nepalia, the Deputy General Manager at Punjab National Bank. It alleged that the partnership firms mentioned in the complaint had gained an amount of Rs 280.70 crore rupees while the bank suffered a wrongful loss of the same magnitude. The CBI FIR itself lists out the details of the accused. The primary name is that of Nirav Modi who is listed as a partner in M/s Diamond R US, M/s Solar Exports and M/s Stellar Diamonds. Quoting sources, India Today reported that ED will also issue a lookout notice in the coming days. Times Now reported that Bollywood actress Priyanka Chopra said that she never got paid for a diamond advertisement. Priyanka Chopra was Nirav Modi's brand ambassador since January 2017. Shares of Punjab National Bank today extended its fall for the second straight session, falling as much as 9 percent in morning trade after the lender said it has detected a USD 1.77 billion fraud. The stock opened at Rs 137, then hit a low of Rs 133.45, down 8.47 per cent over its previous closing price. On the NSE, the stock opened at Rs 137.60, then fell 8.57 per cent to Rs 133.35. The Reserve Bank and the Sebi are likely to approach their counterparts in Hong Kong for cooperation in the matter relating to the whopping over Rs 11,400 crore fraud at public sector lender PNB where several entities have come under the scanner, officials said on Wednesday. The regulators are set to spread their net overseas as it has been found that credit was availed from various bank branches in Hong Kong on the basis of Letters of Undertaking (LoUs) issued by Punjab National Bank. At the bourses, Gitanjali Gems plunged nearly 19 percent on reports over its involvement in the PNB fraud case in morning trade after the company came under scanner of various investigating agencies following the Punjab National Bank's declaration of nearly Rs 11,400-crore fraud. The stock today opened on a bearish note at Rs 48, then lost further ground to touch a low of Rs 47.50, down 18.94 per cent over its previous closing price. A retired PNB officer and a clerk have been booked by the CBI for helping Nirav Modi, his wife and relatives, a Times of India report said. PNB's retired deputy manager Gokulnath Setty and single window operator Manoj Kharat had issued eight letters of understanding (LoU) worth over Rs 280 crore to Nirav’s company just three months before the former’s retirement, the report said. Last week, PNB had lodged an FIR with CBI stating that fraudulent LoUs worth Rs 280.7 crore were first issued on 16 January. At the time, PNB had said it was digging into records to examine the magnitude of the fraud. According to Moneycontrol, a finance ministry official told CNBC-TV18 that the ministry was planning to seek Banks Board Bureau's (BBB) inputs on whether a PNB top management reshuffle is possible. ED also froze mutual funds and shares worth Rs 7.80 Crore of #NiravModi and worth Rs 86.72 crore of those belonging to #MehulChoksi Group. #PNBScam: ED seized 9 cars belonging to #NiravModi and his companies. These cars include one Rolls Royce Ghost, two Mercedes Benz GL 350 CDIs, one Porsche Panamera, 3 Honda cars, one Toyota Fortuner and one Toyota Innova. Mumbai Youth Congress (North West District) protested against #PNBScam outside Andheri Railway Station led by Mumbai Incharge Shri Rutvij Joshi and Office Bearers. #PNBScam case: PIL petitioner Vineet Dhanda told SC that the whole country is watching and that the SC must at least issue notice to the Centre as the government has done nothing in the past in a similar case relating to Vijay Mallya. Latest update, 12.30 pm: According to media reports, the finance ministry is planning to seek Banks Board Bureau's inputs to see if a reshuffling of PNB's top management is possible. The Central Bureau of Investigation had nabbed Vipul Ambani, Firestar International's president (Finance), and four other high-ranking executives belonging to the group companies of absconding billionaire diamond trader Nirav Modi and his maternal uncle Choksi. They also include Kavita Mankikar, an executive assistant and authorised signatory with three firms of the Firestar group, and Firestar's senior executive Arjun Patil - who were both named in the original FIR lodged by the Central Bureau of Investigation (CBI) after the scam was reported by PNB. There is also Nakshatra Group and Gitanjali Group's CFO Kapil Khandelwal and Gitanjali Group's manager Niten Shahi - both group companies owned by Choksi. The arrests and remand came in the CBI's ongoing investigations into the alleged fraudulent transactions perpetrated through 150 Letters of Undertaking (LoU) and other acts committed by them in the PNB fraud unearthed at the Brady House Branch in south Mumbai last week. Earlier, the CBI had arrested Bechhu Tiwari, the PNB's chief manager who was in-charge of Forex Department, Yashwant Joshi, a Scale II Manager in the same department and Praful Sawant, a Scale I Officer in Exports section. Last Saturday the CBI had arrested three persons, including two retired PNB officials - former DGM Gokulnath Shetty and Single Window Operator Manoj Kharat, besides Hemant Bhat, the authorised signatory for Nirav Modi Group. All the six above have been sent to police custody till 5 March.